Hands signing the word "interpreter" are shown against a black background. 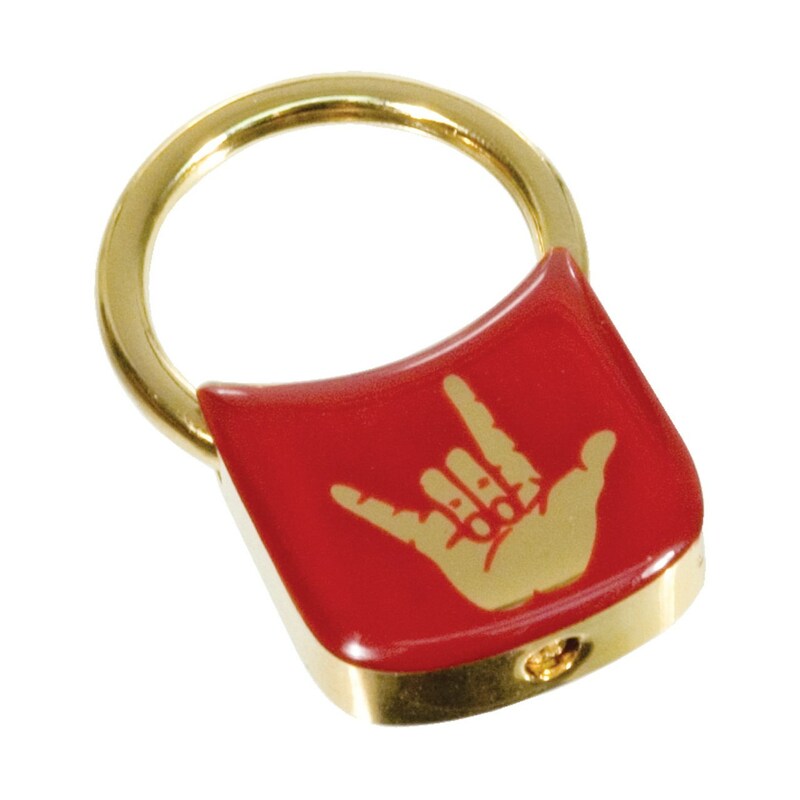 Attractive polished gold-tone and red finish. Attached key ring measures 1.125"diameter. Product Measurements 1.75" x 1.125"